Corporate capitalism is hard to critique, but there are subtle narratives that can produce interesting effects once properly manoeuvred. 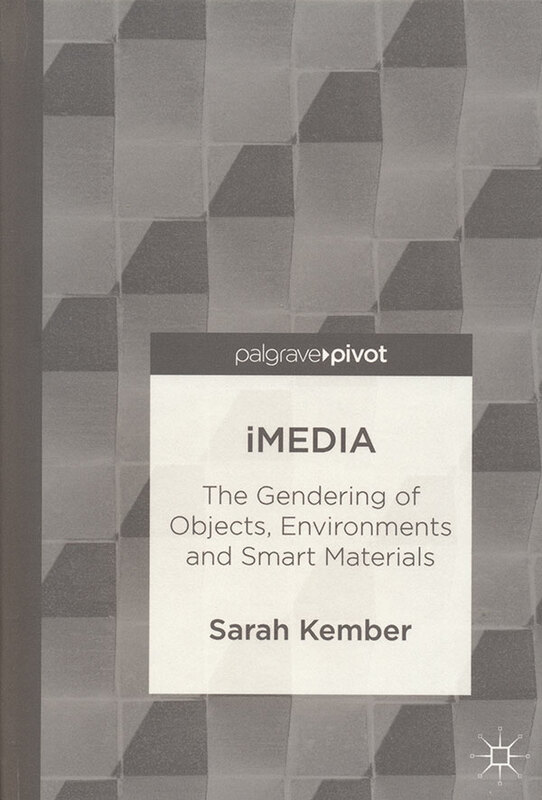 In this book, Sarah Kember targets the enigmatic “i”, a terrifically effective concept of technological apparatuses universally perceived as Apple products, gradually constructing a sharp critique of what it means in multiple respects. A distinct feminist thought shapes this critique. The book’s structure is both elusive and explicit, with a dual oscillating nature that she appropriately defines as “smoke and mirrors”. Indeed, the chapters alternate between her essays and an on-going novel, with one underpinning the other, and producing interesting effects. In the essays Kember moves around concepts such as “communicative capitalism” (after Dean) or software operating as governance “below the threshold of perception” (after Rossiter). She develops a key diagram which debunks the “i”, first as it is perceived “as in my or I” then developing into ‘in/determinable’, ‘invisible information infrastructure’, ‘intelligent intelligence’, and ending with “intervention”. Kember’s novel is full of irony and the technological objects involved have the role of undermining our blind faith in their positivistic agency. Interestingly, the author quotes “a phenomenon of interference” which seems to define the hidden nature of her texts, challenging us to immerse ourselves in their philosophical and material critique.